3rd December 2014, David Cook and I visited the Anselm Kiefer exhibition at the Royal Academy of Arts in London. We were slightly pushed for time and, wanting to carry on the conversation we were having, decided to do so by email. Here’s part three…(part one can be found here and part two here). David: Apologies for previous slightly brain-dead 2.40 am response. 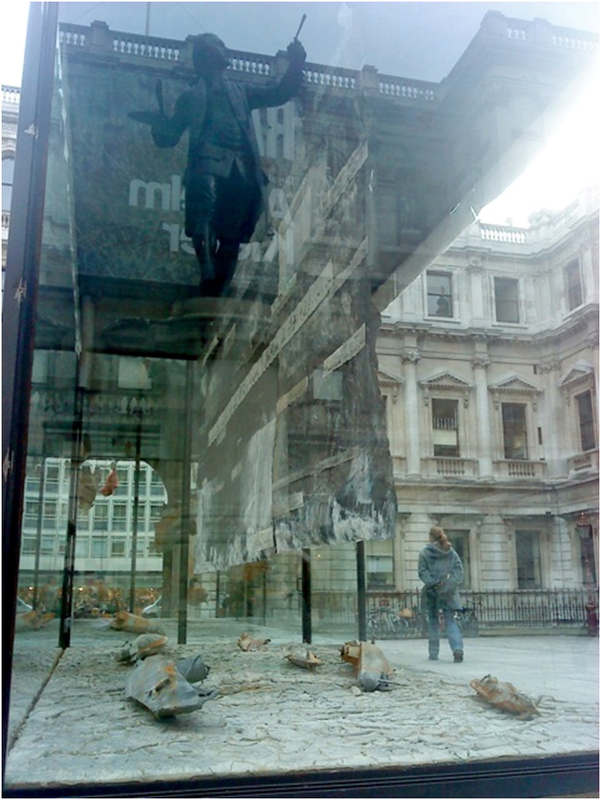 I do remember the submarines in the courtyard and I took this pic of Sir Joshua Reynolds reflected in the giant vitrine. I thought they were impressive when I was standing next to them, but clearly they passed out of my mind very quickly!